Sacraments form the backbone of our religious formation programs. Parents celebrate them, DREs fret over them, and catechists take special care to form students for them. It’s not hard to convince second graders that sacramental preparation is important. However, by the time kids get to confirmation, many may wonder if any of it really matters. A few years ago, a video about hating religion while still loving Jesus went viral. It claimed there was no need for organized religion or the Church. Religion was the work of men, not God, it said. Religion was only behavior modification—no grace involved. Real change came from going directly to Jesus. No mediation required. That video, last time I checked, has more than 31 million views. Obviously this is a popular line of thought. Some of your students may be thinking this way, too, as they prepare to receive the sacraments. 1. 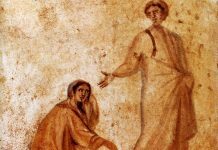 Can you explain the role of the sacraments in salvation? 2. Do you know why we need the Church and the liturgy? 3. How do we really access God’s grace? This information is vital for your students’ growth in faith, especially as they get older and are exposed to ideas that challenge Catholic belief and practice. 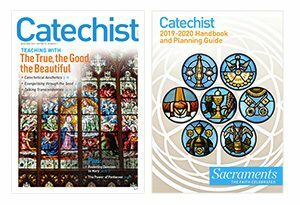 In this article, you’ll get a big-picture understanding of liturgy and sacraments, as well as learn how to answer those questions. And, as you’ve probably guessed, that video isn’t right. Read on to find the truth —and why it matters. We normally associate the word economy with money, Wall Street, and the Dow Jones Index— not theology. However, both meanings come from the same ancient Greek word, Oikos-nomos, or “household rules.” An economy is how a family, group, or government manages goods and services to accomplish its goals. The sacramental economy is “the communication (or ‘dispensation’) of the fruits of Christ’s Paschal mystery in the celebration of the Church’s ‘sacramental’ liturgy” (CCC, 1076). It’s God’s plan for dispensing the power of the cross through the sacraments. It is the key to our salvation. ✱ The Father designs the plan. ✱ The Son powers the plan. ✱ The Holy Spirit enacts the plan. ✱ The Church accomplishes the plan. God the Father designs the plan. The Father is the source of the plan. He created the universe and showered humanity with the blessings of intimate union with himself. When that union was broken through original sin, the Father sent the Son and set his plan in motion. God the Son powers the plan. The Son makes the plan effective through the saving events of his passion. Through the Paschal Mystery (passion, death, resurrection, and ascension), Jesus Christ reconciled humanity to the Father. The power of the cross brought the forgiveness of sins and changed us into new creations, capable once more of union with God. The grace of the cross supplies the power to make everything work, but the plan doesn’t end with the crucifixion. What could possibly be lacking in the sacrifice of Christ? Nothing … except our part. The power of the cross is an infinite treasure of grace, called the “deposit of grace.” All the sin in all of human history can’t make even a dent in the amount of grace available to counteract it. 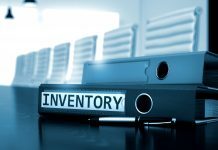 It’s like an immense inheritance—more money than you could ever spend in your lifetime—stored away in a giant safety deposit box just waiting to be opened and used for our needs. The problem is, though, if it’s locked away in a vault, it can’t help you. It needs to reach you. The question is how? That’s where the Holy Spirit comes in. After his resurrection, the Son ascended to the Father and together they sent the Holy Spirit at Pentecost to begin the next phase of the plan. God the Holy Spirit enacts the plan. It’s the Holy Spirit who actually enacts the plan in our lives and makes the life of grace possible. At Pentecost the Holy Spirit poured out on the apostles and gave them Christ’s power—the power of the cross—the power to forgive sins and heal a broken humanity. Three thousand people were baptized that day, and the Church was born. The Church is the place of transformation. It is where the power of the cross is dispensed to the faithful. It is where the Holy Spirit operates to accomplish the plan. The Church accomplishes the plan. The final part of the plan is the power of the cross given to us through the sacraments. Christ is at work in the Church to distribute the riches of his saving work. 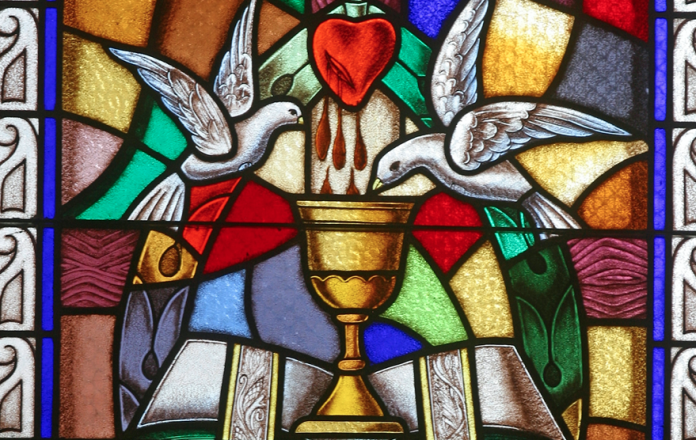 Through the Holy Spirit, Christ pours out the deposit of grace to us within the liturgy. The liturgy is a network of sacramental signs and symbols that communicate grace. The material elements of the sacraments become a conduit for the spiritual power of the cross. The liturgy and sacraments restore us. But why do we need the sacraments? Are the material elements really necessary? Human persons belong to two worlds. We are a matter-spirit composite. God designed the plan of salvation to work with the nature he gave us. Through the sacraments God infuses matter with spirit and uses it to restore us. In the print version of the Catechism, at the beginning of the discussion on liturgy, a photo depicts the woman with a hemorrhage from Mark’s Gospel (see CCC, 1065-1066). The caption describes how her suffering of many years was healed by power that “had gone forth from him [Jesus]” (see Mark 5:25-34). This woman’s condition isolated her from the religious and social life of the community. She experienced physical, emotional, and spiritual suffering. She had reached the end. Her money was gone. All her options—gone. She had only one thing left … an incredible faith that one man could save her. She knew Jesus could heal her. She was certain of it. So certain that when she touched the hem of his garment, the cure was complete. Note that her healing occurred through physical contact. She believed, and that unlocked the power that saved her. But first she had to touch Jesus. His physical body was a conduit of divine power that restored her. The Catechism goes on to say that the sacraments of the Church now continue the works which Christ had performed during his earthly life (see CCC, 1115). The sacraments are “powers that go forth” (see CCC, 1116) from the Body of Christ to heal the wounds of sin and to give us the new life of Christ. With the Incarnation everything changed. Christ ushered in a new creation. God became flesh. The divine punched through the material reality and made the sacraments possible. Jesus—both human and divine, material and spiritual—became a conduit of grace and made it possible for the spiritual to ride on the material. We are all like that woman— broken; suffering spiritually, emotionally, and physically; and in need of healing from our sin. Through physical contact with the body of Christ, the Church, we can receive the power of the cross. In the sacraments, we can touch Jesus and be restored to full supernatural health. This is God’s plan of salvation—his economy— to unite us to himself, share his divine life, and restore us to union with himself for all eternity. The Father: Creator and Source (CCC, 1, 1076-1083) The Father is the source of all blessing. He designs the plan to bring us back into union after the Fall. As Creator, the Father designed a plan that fits perfectly with the nature he gave us. The Father sends the Son for the next stage of the plan. The Son: Redeemer and Mediator (CCC, 1084-1090) The Son supplies the grace that powers the plan through the saving events of the Paschal Mystery. Of the Trinitarian Persons, only the Son assumes human nature and becomes a man. With both human and divine natures, he bridges the gap between the spiritual and the material worlds and makes the final stage of the plan possible. With the Father, the Son sends the Holy Spirit to enact the plan. 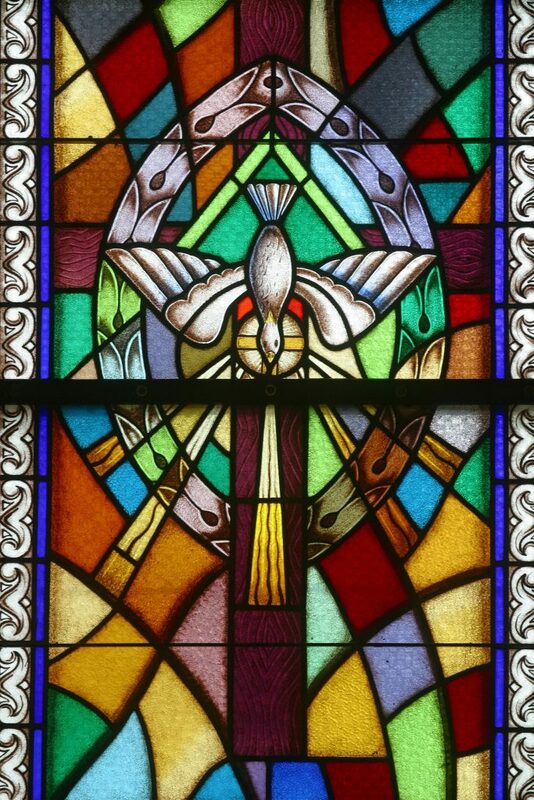 The Holy Spirit: Architect and Sanctifier (CCC, 1091-1109) The Holy Spirit enacts the plan by pouring out his power on the apostles at Pentecost. He is the architect of the liturgy and sacraments, and he works through them to make the power of Christ’s sacrifice present in our lives. The Church: Place of Transformation (CCC, 774-776, 1088, 1104) The Church makes the power of the cross available in the liturgy and the sacraments. It is the place where the faithful are born, sanctified, and transformed into new creations. The Church is necessary for salvation. The Liturgy: Channel of Grace (CCC, 1066-1068) The liturgy is where the power of the cross heals us, restores us, and makes us whole. Marc Cardaronella, MA, is Director of the Office of Discipleship and Faith Formation in the Diocese of Kansas City-St. Joseph. He is author of Keep Your Kids Catholic: Sharing Your Faith and Making It Stick, and blogs at MarcCardaronella.com.